We know how to set up our wallet and how to start mining but it doesn’t end right there, we have to secure what we have done/earn and to accomplish that we have to “Backup the wallet” in a safe place. As I explained in previous posts everyone is susceptible to stolen wallet, as I shown I like to run wallets using Linux on a Virtual Machine and one of the reason is security by using Linux I’m not giving any place to get a virus like malware that infects my computer (virus doesn’t exist in Linux) and second thing I’m using a virtual machine that only runs when I’m synching my wallet or doing transactions (Send or Receive money) and also on top of that if my Virtual Machine is stolen the home folder is encrypted so hackers must dealt with that as well. I’ll show you how to find the wallet for some coins but if you wonder how to do with a coin that is not mentioned here don’t worry… all the coins are very similar and I’m pretty sure if you get what we are doing here you will get there too. 1.- Open the “run” terminal where we execute commands by just pressing “Win+R”, yes just press and keep pressed the “Windows” key and then press “R” key and a new window will pop up as shown. 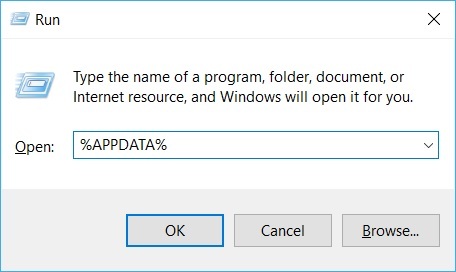 In case you don’t have the windows key just open the start menu and type “Run”. 2.- Enter the following command in the run prompt: %APPDATA% and press enter and a new explorer window will open and be located at the appdata location. 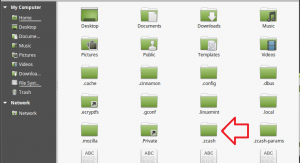 3.- As you can see there a list of folders related to various programs that are installed on our machine you have to look for “Ethereum” folder. 4.- Go to the “Ethereum” folder and then enter to “keystore” folder you will see only one json file that’s your wallet, what you have to do next is to save this wallet somewhere else for example you can use a usb flash memory or an external drive, and that’s it. Here are some notes or questions you my have. What happen if someone takes my wallet file? In order to steal your coins and send them somewhere else they will also need your password so never keep the password in a file and moreover alongside your wallet file, also you have to use a very strong password. I backup my wallet but I changed and added more address, what happen? You have to back it up again, so it will include the new addresses you created. How do I know my wallet is backup and safe? If you have your wallet at least in two more places beside the computer you are running it, you are good. 1.- Go to “home” folder. 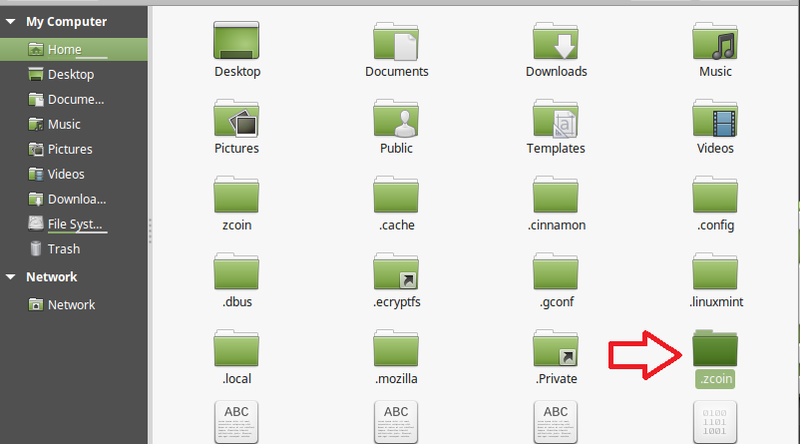 3.- Look for .zcash folder as shown and enter to it. 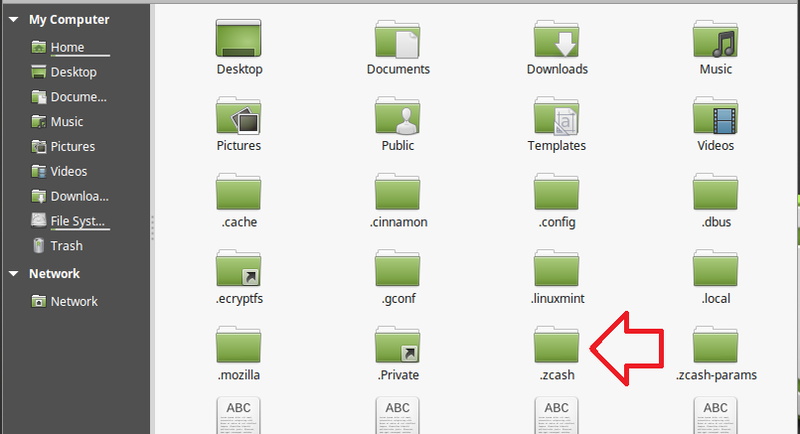 4.- Now find the file “wallet.dat” that’s our guy, now take it to a safe place. How do I take my wallet somewhere else if I’m using a virtual machine? there are several ways to accomplish this some ways are fancies and others not much, what you can do is to enable “share folder” feature which allows to share a folder between your host / guest operative system so you can send your file to your windows host which I won’t cover how to enable a shafe folder at the moment on my blog (maybe in the future), other option which I don’t recommend is to send the wallet to yourself by email but this can be very risky because you have to put your wallet on the internet world and it won’t be safe anymore. Is there any zcash feature to backup the wallet? Yes, actually zcash comes with a very helpfull command line functions where you can backup your wallet, take a look to zcash-cli program. Steps are very similar than Zcash and so basically I’m doing copy paste of what I wrote on zcash. 3.- Look for .zcoin folder as shown and enter to it.